d) Obtain contracts and projects. It is only under the watchful eye of a local expert with practical experience in the construction business and in project management that it is possible to make an informed decision. Who else with over 20 years of experience in Quebec, Canada, in engineering, residential, commercial and industrial construction is better suited to explain the construction industry and how to realize real-estate projects in Canada? Your investment projects and your life are important and deserve what is best for them. 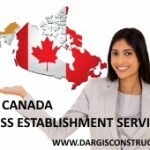 Construction Daniel Dargis Inc. helps you make the right immigration decision to doing business in Canada. 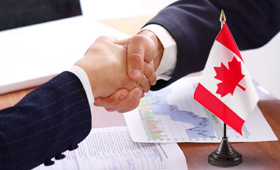 Once we have a clear picture of the portrait on how doing business in Canada in your field of business it is then possible to decide to move forward in the process of establishing your business and of immigration and then to call upon an immigration consultant and a lawyer specialized in business law in Quebec, Canada.